We are excited to announce that CGI has been awarded the new McLaren Greater Lansing (MGL) Hospital. This building is part of the $450 million healthcare campus and is located next to Michigan State University in South Lansing. The campus will have a state-of-the-art hospital with 240-beds, cancer center, medical services building, and other facilities to support healthcare delivery, educational opportunities, and medical research. 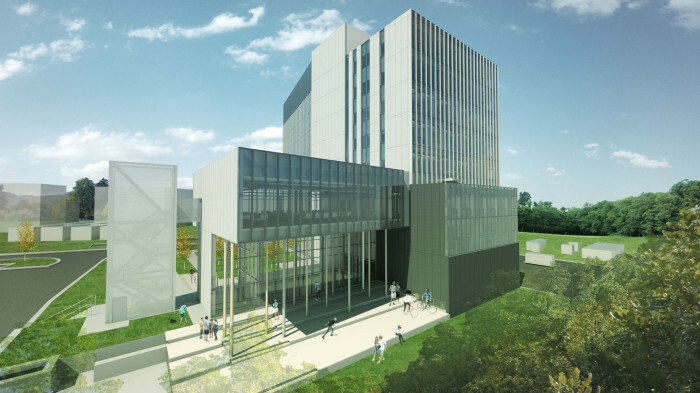 Construction is set to begin in the spring and completed in late 2021, at which point the goal is to have more than 1000 physicians, researchers, and educators working on campus. To find out more about the project click here. The new Ryan Fieldhouse and Walter Athletics Center at Northwestern University has been named the 2018 Project of the Yearby Engineering News-Record (ENR) Midwest at the magazine’s annual Best Project Awards event. This $270 million project includes a 419,000 sq. ft. complex making it one of the premier sports centres in the Big Ten Conference and college athletics. Designed by the architecture firm of Perkins + Will, along with HOK, WSP, SmithGroup and Affiliated Engineers, the facility was designed and built to achieve LEED Gold BD+C certification. Contract Glaziers Inc. is honoured to be part of the team in bringing this amazing project to life. To find out more about it, click here. 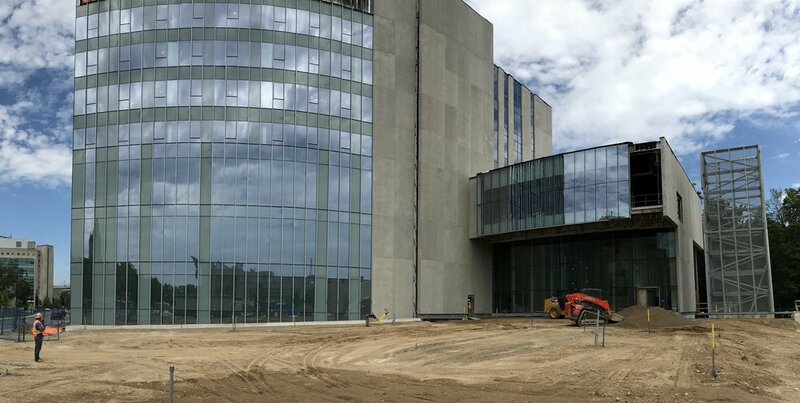 On July 25, the Mohawk College - Joyce Centre for Partnership & Innovation (JCPI) building, held a Media Day for all key suppliers, architects, and general contractors to showcase this incredible building. The JCPI is Canada’s largest net zero building and the first zero carbon institutional building for Hamilton. The JCPI will be engaging students about climate change, conservation, waste management and net zero energy by educating them on the future of sustainable building. Zero Carbon Ambassadors from various academic backgrounds will be trained by the JCPI architects, designers and facility managers and in turn, will support students and faculty about how the net zero environment functions. Real-time information is available throughout the building so everyone can see how much water, heating/cooling and energy is being used on any particular day. By having the students manage the building, it creates awareness around their own impact on the environment and promotes sustainable thinking. At CGI we are proud to have been part of this influential project and of our incredible in-house team that made this possible. To learn more about our role in the JCPI project view the video below. 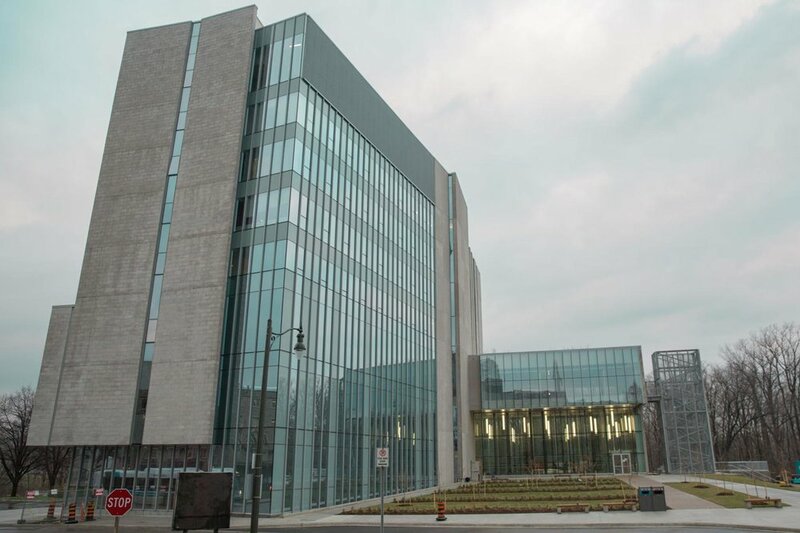 The Canada Green Building Council (CaGBC) has announced that the Joyce Centre for Partnership & Innovation (JCPI) became the second project in Canada and the first institutional building to earn a Zero Carbon Building – Design certification through the CaGBC’s cutting-edge Zero Carbon Building Program. At CGI, we are thrilled to be part of the JCPI team. This building will produce equal, or more energy than it consumes; and plays a key role in advancing the zero carbon building industry by being one of three education institutions across Canada to be named as a Pilot project for the ZCB standard. Click here to read the case study. Western University unveiled great photos of the new Western Interdisciplinary Research Building via Instagram last week, during its official opening on April 13, 2018. 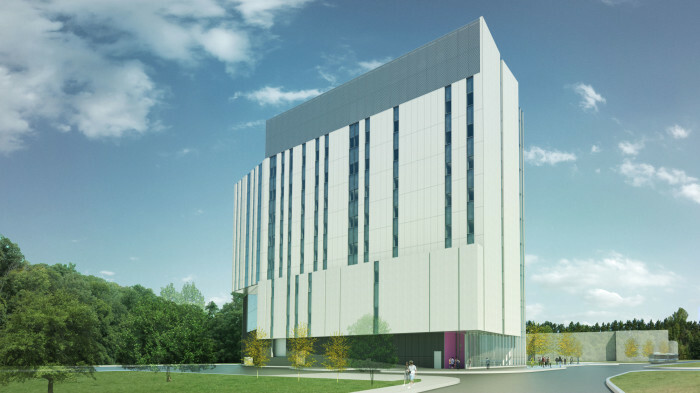 The $47 million state-of-the-art research facility will house Western’s Brain and Mind Institute, BrainsCAN and the Rotman Institute of Philosophy, as well as dry laboratories, teaching and research space and a public plaza. The seven-storey building has a total gross area of 118,000 sq. ft. and is Certified LEED Gold. Drone footage shows the progress of construction on the Downtown Campus Building B at the beginning of July. This heritage project is 115,000 sq. ft. and is transforming the historic Kingsmill's building into a seven-storey learning centre for tourism, hospitality and IT programs. The completion date is set for September 2018. We are very proud to announce that our Superintendent, Lisa MacPherson, was featured as part of the CTV News Special "Women in the Workforce", which aired March 25, 2017. Although the construction sector is still predominantly male, it is female workers like Lisa, who bring an incredible amount of knowledge, experience and respect to the industry by challenging the role of stereotypes in the workforce. Congratulations Lisa, for doing a phenomenal job representing female workers and for making CGI proud! We are very excited to announce that we have been awarded Northwestern University - Ryan Fieldhouse & Walter Athletics Center. We will be working closely with Perkins + Will and Walsh Construction out of Chicago. 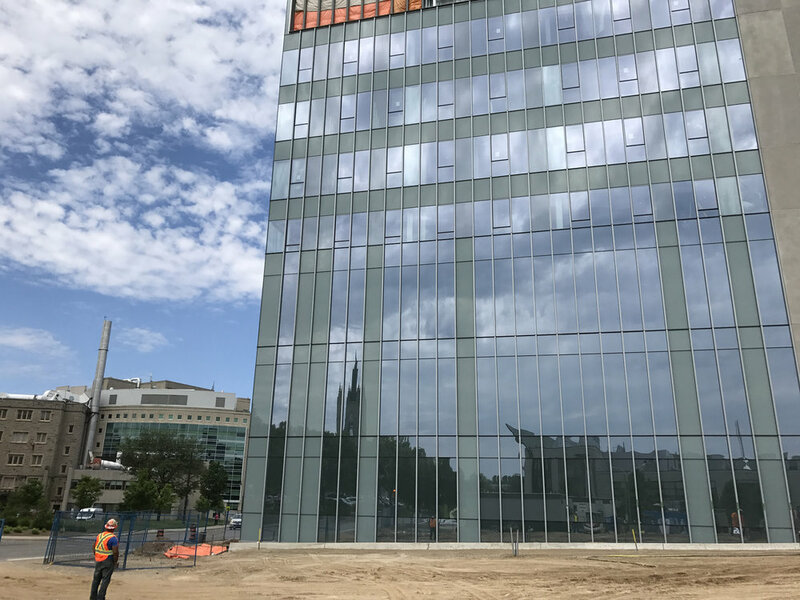 The building features include vast walls of glazing which will provide outstanding views of Lake Michigan. This will be a state-of-the-art facility for the university's athletics. The expected completion date of the project is Summer 2018.